Nighttime is usually not the moment to shoot moving objects. Darkness makes the use of long exposure a necessity. Unless you use flashes. Today I found an interesting article about the technique of flash shooting moving trains. It gives a lot of useful information: kimandrenaud.com. I have also been experimenting with this technique, inspired by Gary Knapp‘s photos. 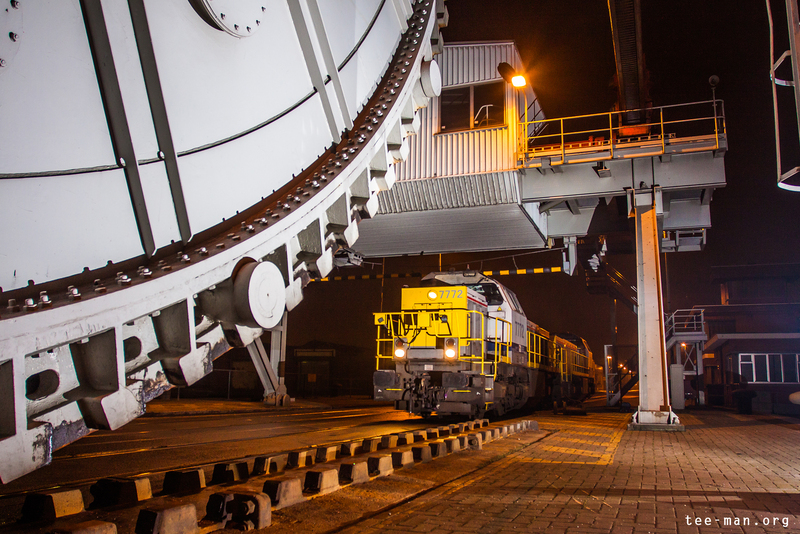 In january 2015, the port of Antwerp was the place where it begun. Slow moving trains, and some interesting locations to shoot at. The first try turned out not so great, but the thirs photo turned out rather decent. 2 flashes were used to light this scene. They were standing on the right of the photo at ground level, but pointing a little upwards. One was pointing in the direction of the train, one was pointing at the bridge (left). It’s an interesting topic that allows for experiments and a lot of learning. Expect more about the subject soon.